Only 400 FEET from the Ocean/Beach in 'Brightwater Cottage and Trailer Association'. Become a shareholder/owner of the Oceanfront/Ocean block assoc of 30 mobile homes, 19 rental cottages plus clubhouse! A unique opportunity to own one of the largest homes (34x14) so close to the ocean! 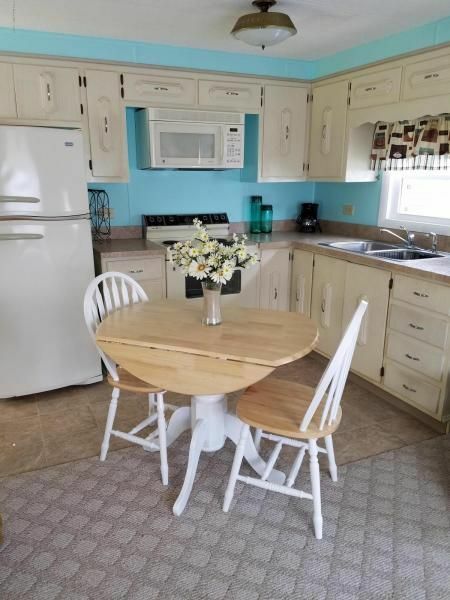 Features include: 2 bedrooms, 1 bath, new roof (2012), remodeled ktchn (2011), vinyl flring (2011), 8 new Premium vinyl wdws (2010), central air (2009), storage shed (2005). Furnishings & appliances are included but not limited to: new table, chairs & rugs (2012), bedroom high riser (2015 never been used). This property includes entry deck & roomy patio for outdoor living. NO TAXES! NO WATER BILL! Hurry in for summer!